Change is a must! New offices and a new law firm! 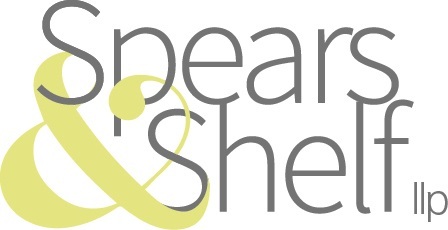 After 7 wonderful years of solo practice, I've moved out of my sweet, garden office in Bernal Heights and joined forces with another estate planning attorney, Kimberley Spears, to form Spears & Shelf, llp. After years of supporting each other professionally, Kimberley and I have merged our estate planning practices. We will both continue to offer the same high-caliber, compassionate legal services to our clients, but from a single location and with an expanded staff. Our offices are located in Hayes Valley, easily accessible by car or public transportation. New contact information is in the footer at the bottom of this page, or here. If you are interested in a customized estate plan, or need assistance with managing things after the death of a loved one please contact us. Panic-free Planning Workshops now at spearsandshelf.com! If you are interested in attending one of our Panic-free Estate Planning Workshops go to our website and sign up online.